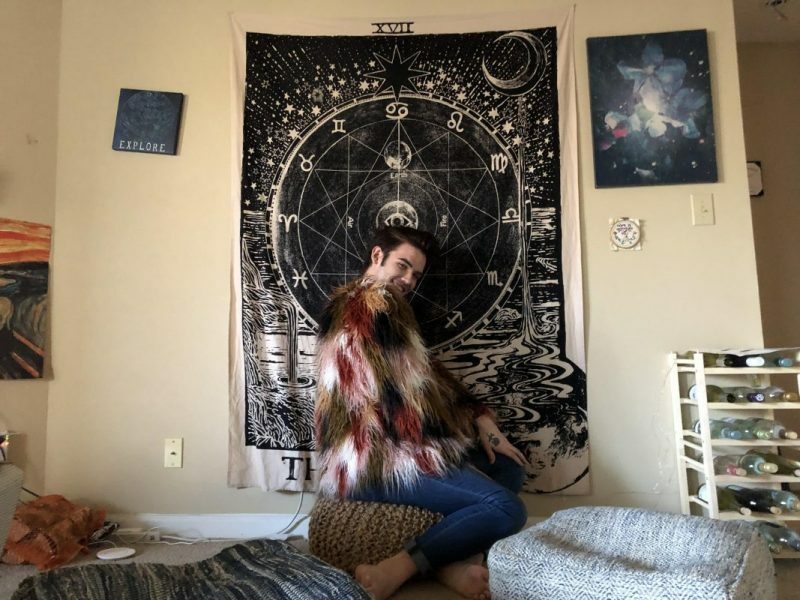 Dylan Cain poses in front of his astrology tapestry (Kyra Mills/Carolina Connection). Some people look to the stars for day-to-day guidance while others might only casually think about their zodiac sign when flipping through a magazine. Kyra Miles talks to people at UNC who have strong feelings about astrology.